Time keeps on slippin’, slippin’, slippin’ into the future. Tick Tock … How many times have you said you were going to ______ when you had more time … after the kids were grown … when you had more money … when your ship comes in? We only have so much time and we seem so busy. And yet, we know people who seem to get so very much done. Every decision about how we spend our day, this hour, this minute, and even this moment has a profound effect on your tomorrow. 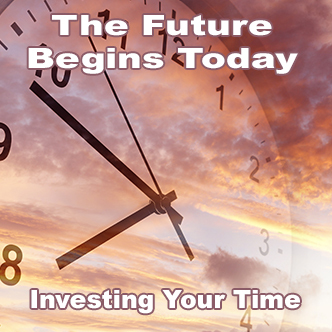 We’ll talk about how to invest your time wisely in this week’s conversation.